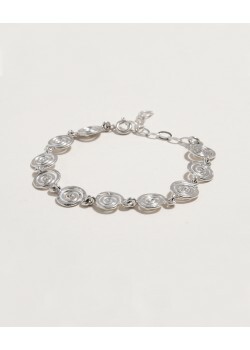 Bracelet built by two different chains and a circle, all in sterling silver. Length is adjustable between 6" to 7,5"
Handmade in sterling silver. Composed by irregular spirals, handcrafted one by one. Lenght adjustable between 15 - 19 cm.